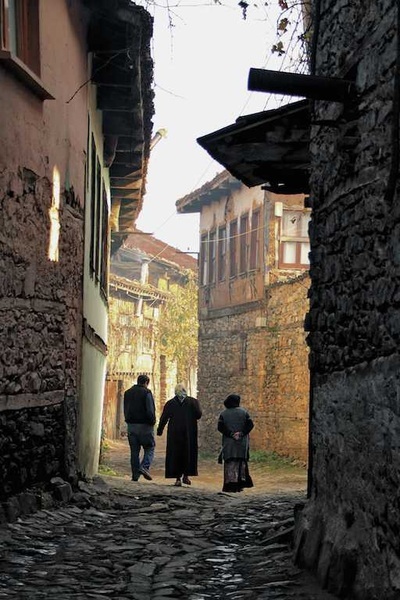 One of the most priceless civil masterpieces of countryside, Cumalıkızık was built as a foundation village in piedmont of Uludag, Bursa during the reign of Ottoman Sultan Orhan Gazi (1326-1360). Absolutely, that splendid structure which includes total 270 homes (60 of them are still livable today), reflects Ottoman Style and it has protected its historical tissue since in the past. 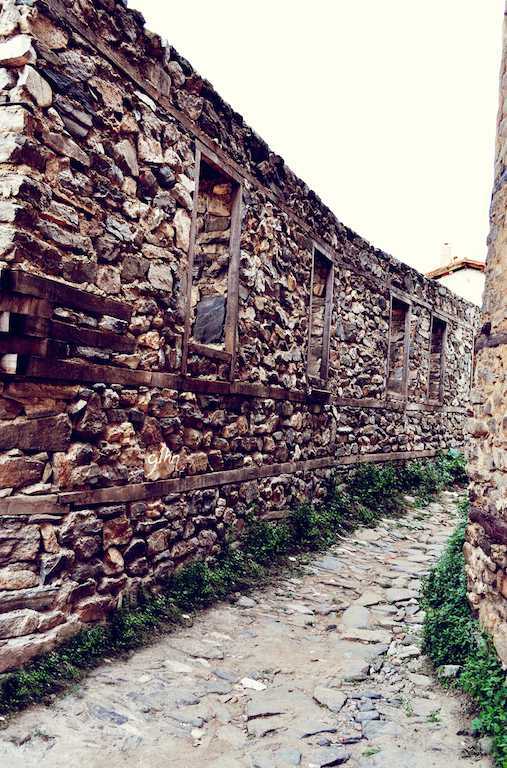 However the words fail to define Cumalıkızık, it can be said that several main features describe the fascinating historic space. There was turned out a church belonging to the East Rome (Byzantine Era) in the southeast of the Cumalıkızık settlement in 1969. At the present, the ruins of that chapel are kept in Bursa Archaeology Museum. 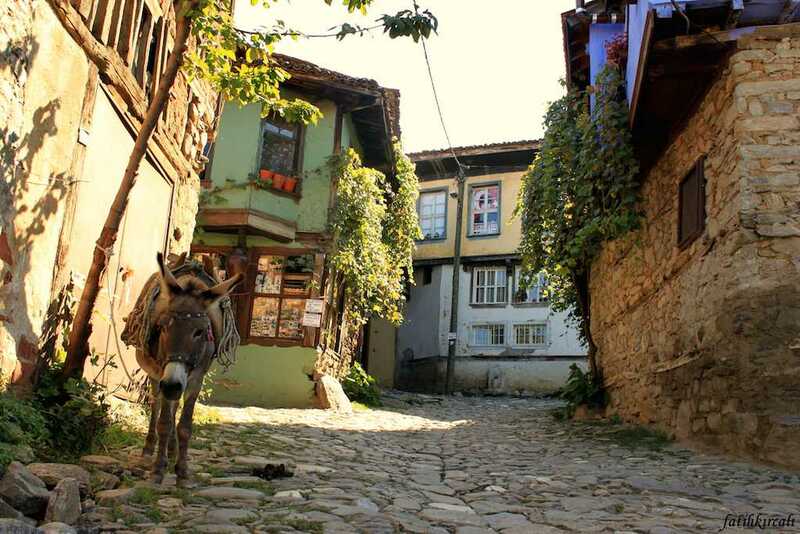 Situated on approximately the area of ten hectares, the magnigicent location was called as ‘’Kızık’’ because it was found between mountain foot and valley which exhibits its natural beauty with its pure sources and sweet homes symbolizing old ages. 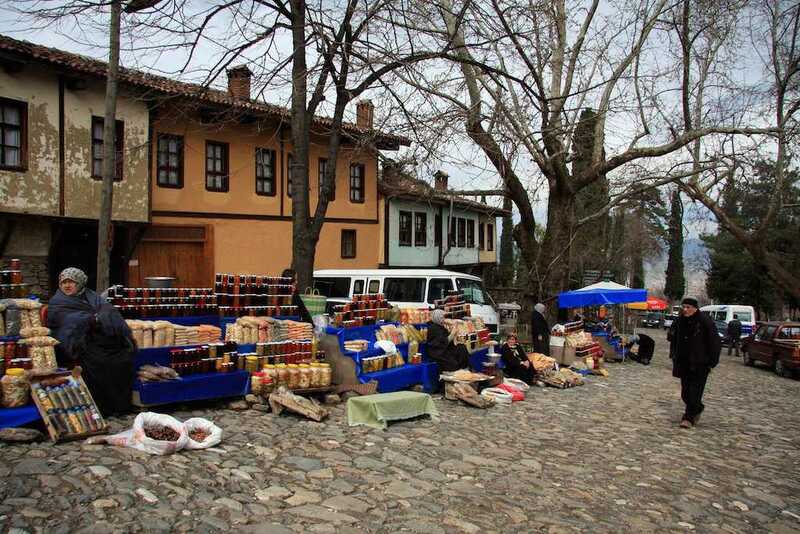 Additionally, the other name ‘’Cuma’’ comes from Friday Prayers; beforehand, the people of not only that village but also another towns came together in Fridays in order to pray. This place is surrogated by seven Kızık Village such as Hamamlıkızık, Derekızık, Degirmenlikızık and Fidyekızık Villages. Moreover, it hosted many movies, film stars like ‘’ Kınalı Kar’’ (Turkish series) due to its ravishing nature. Lastly, in 2000, it took a place in UNESCO’s World History Heritage Candidate List with a file named ‘’The Rise of Ottoman Empire’’ thanks to reflecting its natural and cultural values upon unique buildings and location. According to a rumor, in the period of Ottoman, a clan Kızık from oghuz tribe wanted to found a city here after the immigrating to the regions of Karaceli Tribe. In order to prevent a chaos between Karaçeli and Kızık Tribes, Sultan Ertugrul Gazi (the father of Sultan Osman who was the founder of Ottoman Empire) ordered to be married seven handsome Kızık boys with seven beautiful Karaçeli girls. Finally, those boys established their Kızık Village like Cumalıkızık. 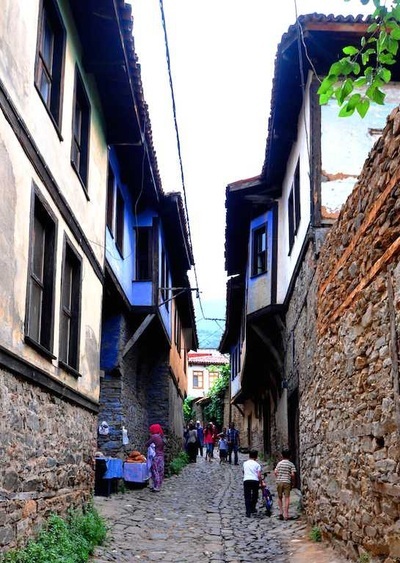 Generally, the homes of Cumalıkızık have three-storey and they were built as adjoined with each other which create a powerful atmosphere of peace, brotherhood, collaboration and good neighbourhood relations. It was taken care of the family privacy, when the homes were found; ground, the first floor and courtyards in the external part of those buildings were furnished with the bonding timbered walls and rubble stones. At the upper storey with hipped roof and pantiled was covered the nog filling. Therefore it is not possible to see from outside. Besides, there are placed two memorial planes;the village arena, and a fountain, situated in the east of the mosque, in the village. Mosque, village, coffeehouse and big plane triplet, which are displayed in Ottoman locations, are also exhibited in the centre of Cumalıkızık Village. The constructions, which are comprised natural street configuration by topographer, were decorated according to characteristic privacies of the region. Therefore, all civil architecture examples are separate from each other. When you step in that charming village, you experience the nostalgia with the stone homes, small bakery spreading delicious smell of bread, ancient winery, multi coloured such as blue, pink, red, purple homes. There is a mosque named also Cumalıkızık. It is said that the mosque was built before 300 years and renovated in 1916. The mosque was enlarged between 1950 and 1955, its ceiling and mihrab was changed. There are famous Cumalıkızık Baths and Zekiye Hatun Fountain which heal the sick people and cure their skins. Cumalıkızık Ethnography Museum is located here. It is seen that many ancient collections, goods, tools, weapons, kitchen utensil are kept within that museum.